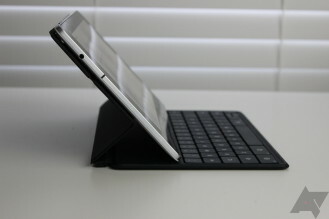 While I don't personally do a lot of work from a tablet, the option of a keyboard has always been appealing to me. I'll occasionally use my tablet to take notes for whatever review I'm working on at the time, pen a quick email, or some other third thing that I can't think of right now. For anything more than a short sentence or two, the software keyboard just doesn't cut it for me. 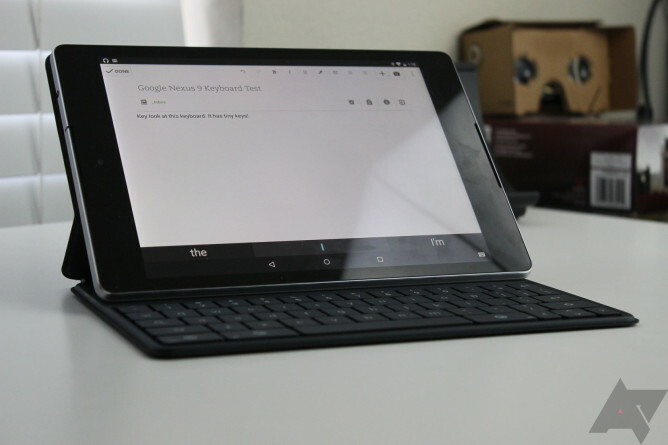 I've reviewed several hardware keyboards designed for Android, but none seem quite as elegant as Google's Nexus 9 Keyboard Folio ($130). 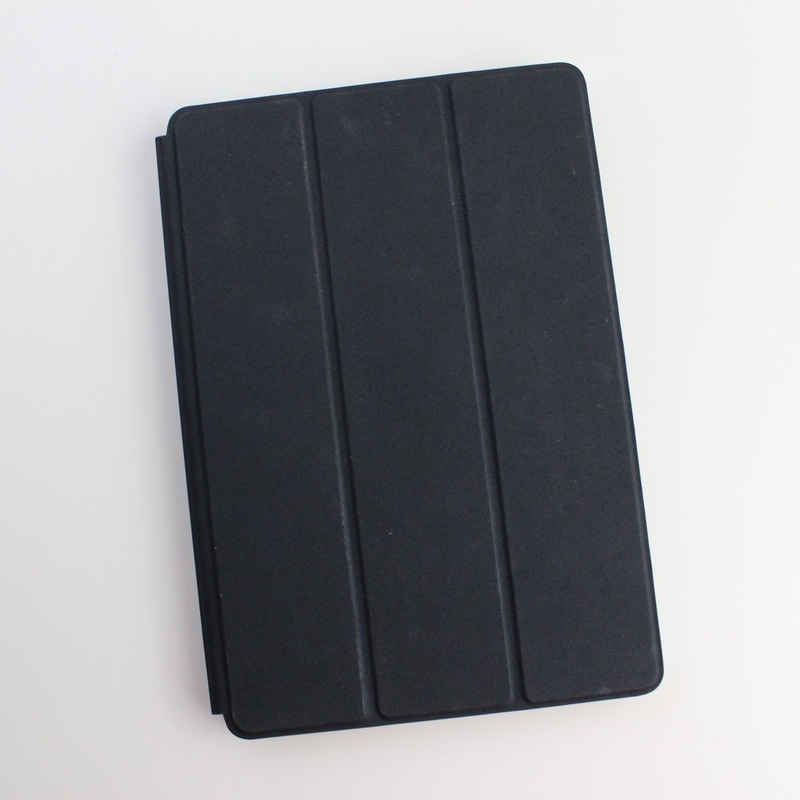 The overall design is well thought-out, and thanks to the magnetic connection to the tablet, it's super slim. 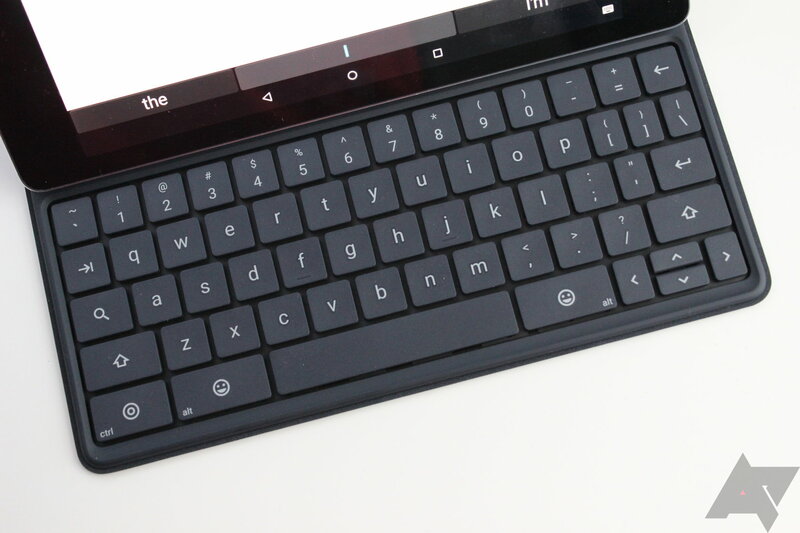 Google seemingly thought of everything with this case, save for one important detail: the actual keyboard. Before we talk about the typing experience, however, let's take a look at the case itself. The overall design of the unit reminds me a lot of Microsoft's Surface Type keyboard, and that's definitely a good thing. MS did a great job of crafting something thin enough to be ultra portable, yet usable enough to satisfy the 5,000-word-a-day typist. The N9 Keyboard Case just adds one little bit to that: the magnetic back that holds the tablet in place. And really, that's the best thing about this case - it's just a super elegant solution, especially compared to something like a snap-in plastic case attached to a keyboard. The tablet simply connects to the segmented back, which allows it to be easily attached/removed, as well as offering two different angles. It works well and is stable enough to be useful. 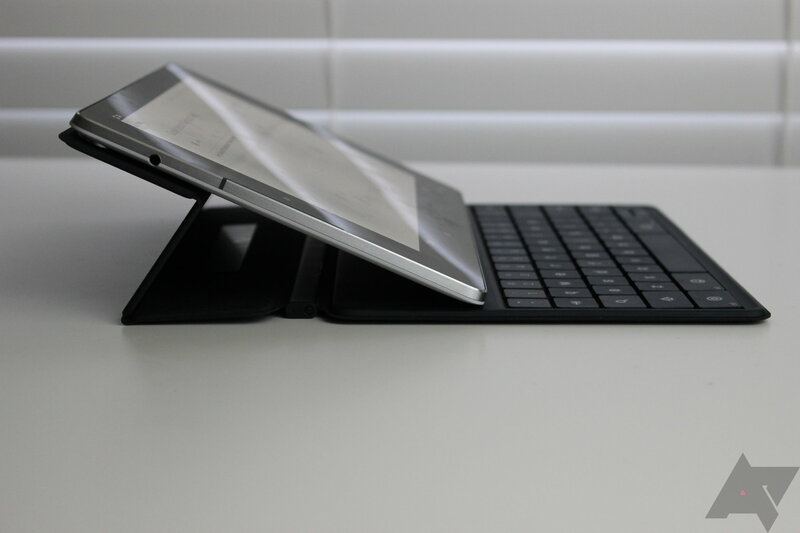 Pairing the tablet to the keyboard is also a breeze, as it features NFC. Touch, pair, done. Start typing. And that's when this case's biggest flaw becomes apparent: the keys are pretty tiny. It's not impossible to type on, but it's definitely a challenge for the touch-typist to get acclimated to such small keys. Strangely, I found myself missing the spacebar more often than any of the other keys (except maybe backspace), and I honestly can't figure out why. It's not much smaller than a normal spacebar. Since the keys are smaller than a normal full-size keyboard, that also makes them closer together. As you can imagine, that also leads to more typos...at least until you get used to typing on it. 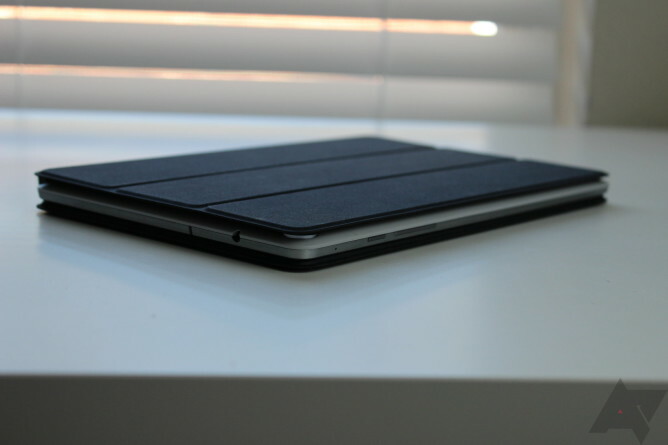 Switching back and forth from a full-sized keyboard and the N9 case proved to be another challenge, as they just feel so different. There's definitely an adjustment period each time you change keyboards. Personally, I can give the keys a pass, because once you get used to typing on it, it's not an awful experience. I can't say I'd use this keyboard to pen a novel, but for email, note taking, or any other activity that doesn't require extremely precise, quick typing, then it's quite convenient. My biggest complaint, however, is one that drives me absolutely insane: turning the keyboard off. There is no clear documentation on how to turn the keyboard off (and no, there isn't an "off" button), so I had to try to figure it out for myself. I think that the unit can be deactivated by removing the tablet, closing the lid, and setting it off to the side, but that hasn't always been a 100 percent success for me - sometimes it worked, sometimes it didn't. This is insanely obnoxious for someone who uses a tablet the way I do; I like to go from typing with the hardware keyboard to using the software keys in an instant, and with no clear way to disable the keyboard, that's impossible. I tried disconnecting it through Bluetooth settings, but then it wouldn't automatically reconnect the next time. This is the great struggle of our time. This is our spiritual war. Update: As pointed out in the comments, hitting the keyboard selector in the nav bar will give the option to disable the hardware keyboard. That makes it easier to switch back and forth, but still not what I'd call ideal. Better than nothing, I guess. Unless I'm overlooking something obvious (which I'm not going to ignore as a possibility), that's really annoying. Really, really annoying. I want to love this keyboard case, especially for $130. But I don't. I like it, but I don't love it. There are easily better options for keyboards out there, and there are also great options for standalone cases. I can't say there's a better option for anyone who wants both in one, because this is pretty dang elegant. If you're willing to power through its downsides, then it's a fine option. Otherwise, you may be better off with a great keyboard and great case, instead of a keyboard case that's just OK.